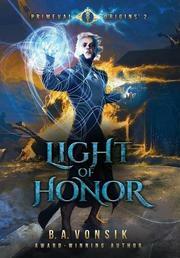 Vonsik (Paths of Anguish, 2014) offers the second book in a fantasy series in which ancient and modern times converge. Graduate student Nikki Ricks is onboard a ship called the Wind Runner, somewhere in the Caribbean. The craft has been traveling at high speeds in an attempt to evade United Nations ships. It’s soon apparent, though, that such maneuvers are for naught. It’s not long before futuristic goons known as Tyr Soldiers board the Wind Runner, looking to seize its strange cargo: two unconscious, seemingly non-human beings from a time long ago, named Rogaan and Aren. Just as all seems lost for Nikki and her fellow passengers, readers are transported back to ancient times—specifically, Rogaan and Aren’s era, which features ferocious beasts and complex civilizations. Here, the narrative picks up where the series’ first installment left off. Rogaan and others are on their way to free their parents from their captors in the city of Farratum. It’s a quest that doesn’t seem likely to succeed—particularly after Rogaan and company become prisoners themselves. There’s a sliver of hope, though, because Rogaan is occasionally capable of feats of great strength and violence. As he’s tested morally and physically, will he be able to save himself and the others from captivity? And what about Aren, a fellow prisoner who frequently sees spinning symbols in his head? Vonsik delivers a story that’s always alive with possibilities, and it keeps readers guessing about how it will link back to Nikki’s future narrative. Although it’s clear from the start that Aren and Rogaan will survive their ordeal, readers will wonder what it is about them that interests a sinister U.N. But even as these unanswered questions create a sense of urgency, some of the dialogue drags things down. Characters often announce their intentions, for example, as when a guard gives the order to imprison the heroes “and leave them be unless they cause more trouble.” The plot’s bigger picture, though, remains intriguing, and readers will be curious about the next installment. An ambitious, often engaging adventure through time.